Though the case of a Vermont mechanic accused of involuntary manslaughter has brought vehicle inspections back into the headlines, a new Government Accountability Office study released Tuesday found no conclusive proof such inspections do or don’t cut crash volume. 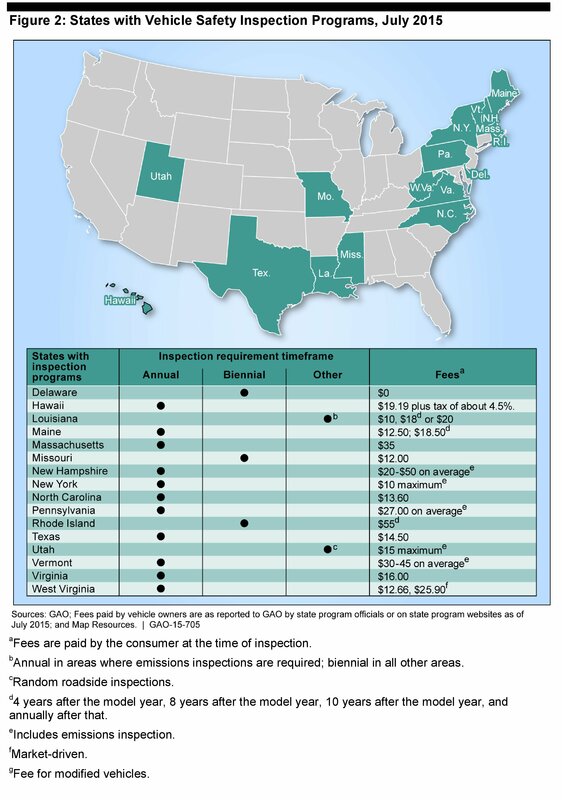 The GAO — the nonpartisan research wing of Congress — studied 15 of the 16 states with inspection programs at the request of U.S. Sen. Claire McCaskill, D-Mo. The 16th state, New Hampshire, would not respond to the government’s request for assistance. The research only included state-mandated inspection programs; it did not take into account the growing number of private-sector post-repair inspections wherein body shops check peers’ work. Those curious about the new field of post-repair inspections should check out “Post Repair Inspections (PRI’s)” by Larry Montanez of P&L Consultants at the SEMA Show as part of the Society of Collision Repair Specialists’ Repairer Driven Education series. Register here. According to the GAO’s study and review of other research, component failure causes about 2 percent of crashes, though it’s possible that the number is really as high as 7 percent. State officials pointed to the hundreds of thousands of cars failing inspections annually as proof of the lives and limbs saved through inspections. In the Vermont case, licensed state inspector Steven Jalbert is accused of passing a car with unsafe brakes, leading to a fatal crash. Had he failed the car (which also allegedly had a rusty frame), the death might not have occurred, the state’s Department of Motor Vehicles said. But other states’ most common problems included tens of thousands of glass/wiper/mirror flaws (Utah) and brake light malfunctions (Delaware); and 6,000 tire issues (Rhode Island). Growing vehicle ages and road conditions/weather leading to deterioration were cited by some states as reasons to retain the inspections. Still GAO couldn’t find a significant difference in component-related crash rates before and after New Jersey and Oklahoma killed their inspection programs. Nor could it say, given the small percentage of national crashes caused by component failure, that inspections made a difference or if rates were affected by external variables like new laws or better traffic law enforcement. Other researchers failed to find statistically significant differences between crash rates in states with and without inspection programs, according to the GAO. 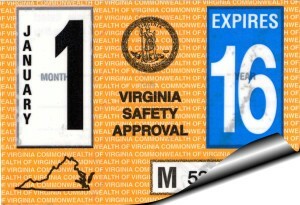 “Given this relatively small percentage as well as other factors—such as implementation or increased enforcement of state traffic safety laws—that could influence crash rates, it is difficult to determine the effect of inspection programs based on crash data,” the GAO wrote in a highlights page. This isn’t to say that inspections don’t work — merely that there’s not enough data to say one way or another. Thus, it seems as though inspection advocates would benefit from finding more data beyond inspection fail rates to bolster their case. The National Highway Traffic Safety Administration’s data set only covers fatal crashes, and the NASS-GES data tracking all types of crashes is only applicable nationally; it can’t be broken down by state, according to the GAO. More comprehensive federal or academic crash data sets might help prove state inspection efficacy. Because it couldn’t reach a definitive answer on inspection efficacy, the GAO’s only recommendation was that the NHTSA be more open to states requesting assistance or information with inspection programs. Though the NHTSA retains the guideline that states should conduct inspections, Congress in 1976 stripped its ability to publish states who didn’t by withholding highway funds. The number of states with inspections has since plummeted. Still, while the NHTSA doesn’t see enough evidence to justify more attention on inspections — it told the GAO it cares more about factors like driver behavior with a greater impact on crash rates — the GAO said its fellow agency should still help states still trying to do inspections. “Given that NHTSA has a guideline recommending that states implement vehicle inspection programs and that the agency’s mission includes assisting states with traffic safety programs, it is reasonable that state officials would look to NHTSA for guidance when these questions arise,” the GAO wrote. 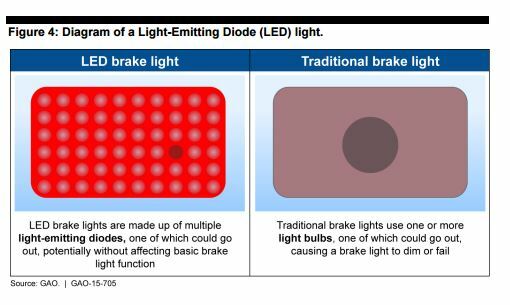 States are curious about how to handle new technology, such as how many diodes in an LED light can burn out before the car should be failed in an inspection. Some are also wondering about new NHTSA standards as they arise.